The top starts out as a 2″ thick slab of solid curly flamed maple wood. After the top is bookmatched, it is top sculpted, and the underside of the top is also carved to follow the contour of the top, while increasing the overall size of the sound chamber to improve the tonal characteristics of the instrument. 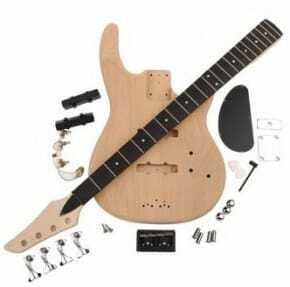 As mentioned earlier, the body of this model is beautifully carved in order to ensure high resonances and maintain maximums stability, in addition to the quality of the set-neck that is inset deep into the body. This ensures to maintain high sustainability, tonality and increase immense strength of the neck. 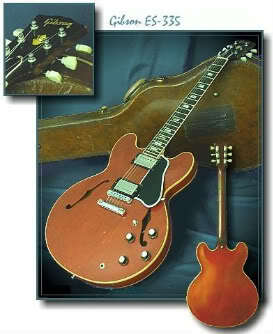 The neck is mahogany construction which significantly helps the guitar produce its warm rich tones. standard 25” scale ebony fingerboard with genuine abalone dot inlays, a 12? radius and 22 medium-jumbo nickel frets. You can choose from a wide array of options, including rosewood, maple or birdseye maple fingerboards; diamond, block or dot inlays in genuine abalone or mother-of-pearl. Beautified with gold hardware and a 24K gold plated Kiesel-Carvin logo. The controls include a 3-way pickup selector switch, two control knobs, volume and a tone. All the operating controls and the electronics have a easy-to-use and simple layout. While playing the notes this guitar gives out dynamics response, and the tones delivered by it are intuitive. The guitar is a solid and incredible instrument with a melodious playability, and looks that catches the attention of your crowed. The SH550 has a warm and rhythmic S22 humbucker pickup. Providing rich, warm and articulate notes that can be heard in every strum of a chord. There is no need to amplify the sound that comes from this guitar, this guitar can be used both with an amplifier or unplugged without the use of electronics. Music lovers consider the SH550 a soulful rich and warm articulate tones. 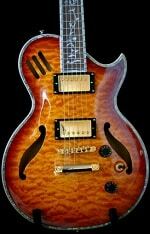 The guitar is consider a value at around $1699. 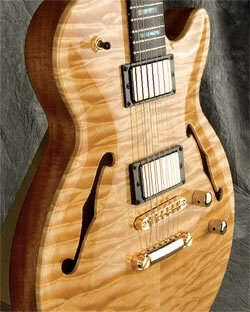 The Carvin SH550 Can be purchased at the manufactures website – kieselguitars.com. Lets take a sneak peak inside Carvin and see how their instruments are made. You’re going to love this video!